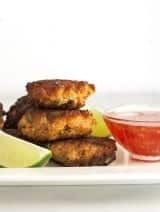 It is always great to have a few simple recipes for easy appetizers to pull from when guests drop by. 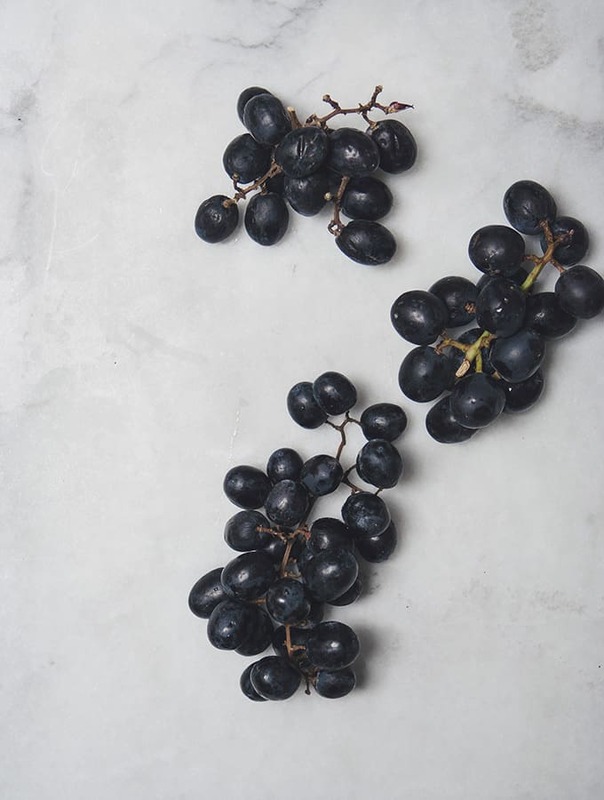 Roasted Grapes with Goat Cheese & Honey fills the bill as an appetizer or part of a final cheese course. 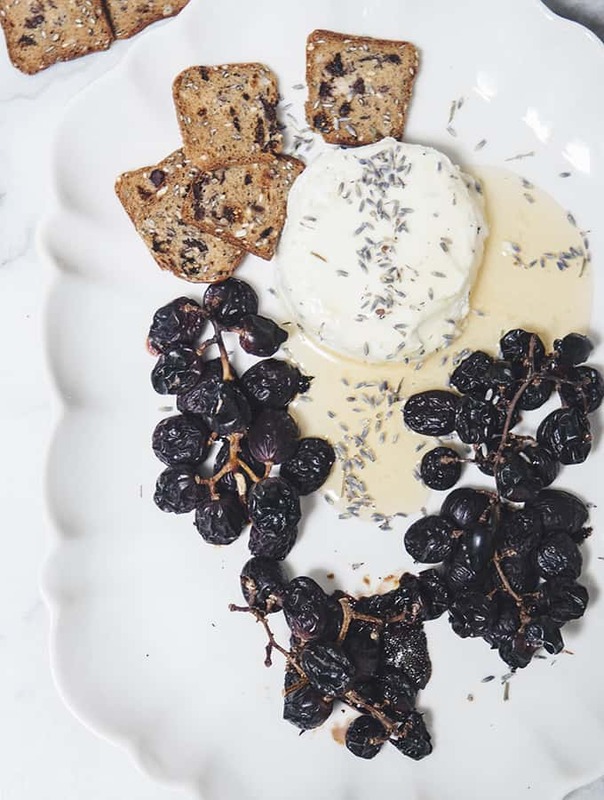 What could be more simple than picking up a soft cheese, such as goat or even brie, and roasting a few branches of grapes. Concord or red grapes are lovely with their intense colors, mix varieties as you wish. Other simple appetizers I love are Melon & Prosciutto, Fresh Ricotta-style Cheese with Rose Syrup, or a Spring Market Tartine. Simple. 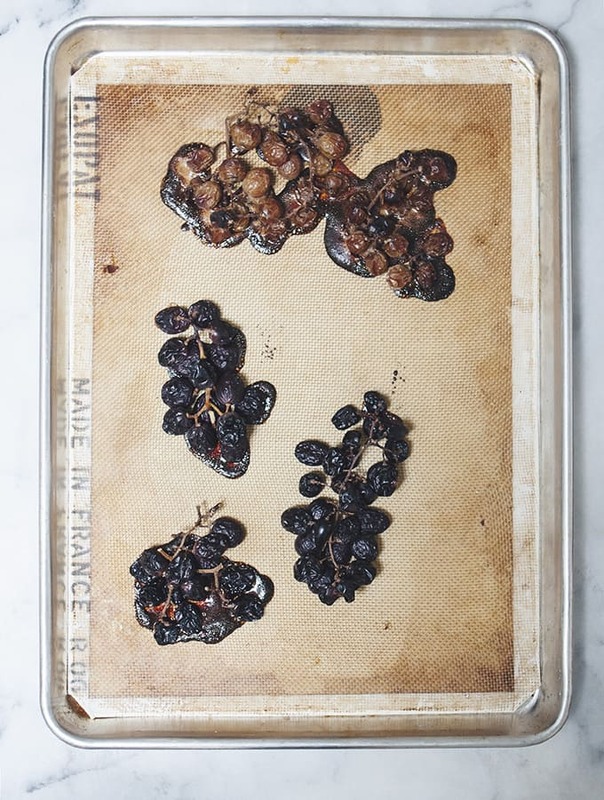 Recipes for grapes abound all over the internet. The reason is they are a wonderful accompaniment to many dishes. 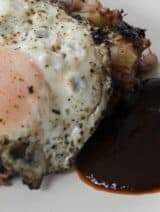 My favorite take is inspired from the legendary Chef Nancy Silverton, from her book Mozza at Home. A greatly admired chef of mine. I was privileged to attend a small bread baking class, during the early La Brea Bakery days, at a local cook shop. Taught by Nancy herself I learned valuable lessons about bread and baking, I keep with me to this day. 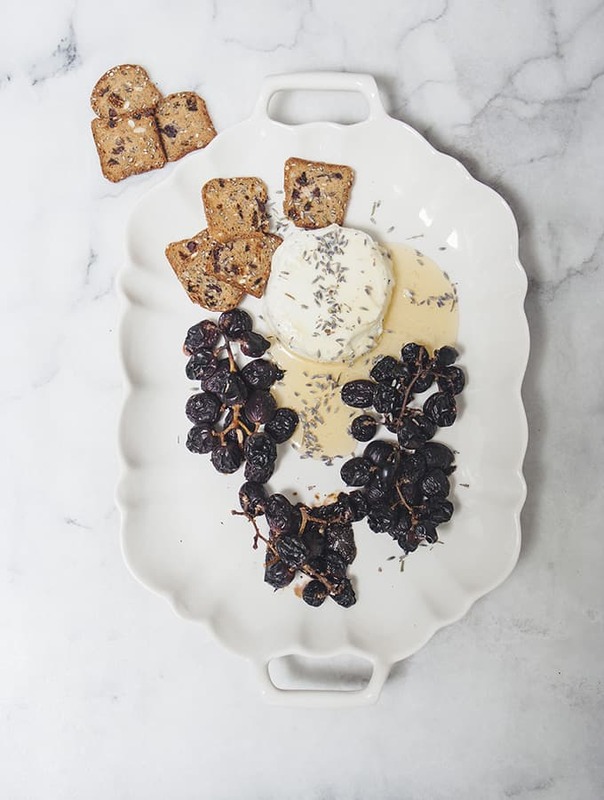 Roasted Grapes & Goat Cheese with Lavender Honey offers what I think is the bit of the best in an appetizer: creamy cheese draped in lavender honey, and of course the jammy roasted grapes (not unlike your favorite grape jam) served with crisp bread or crackers. 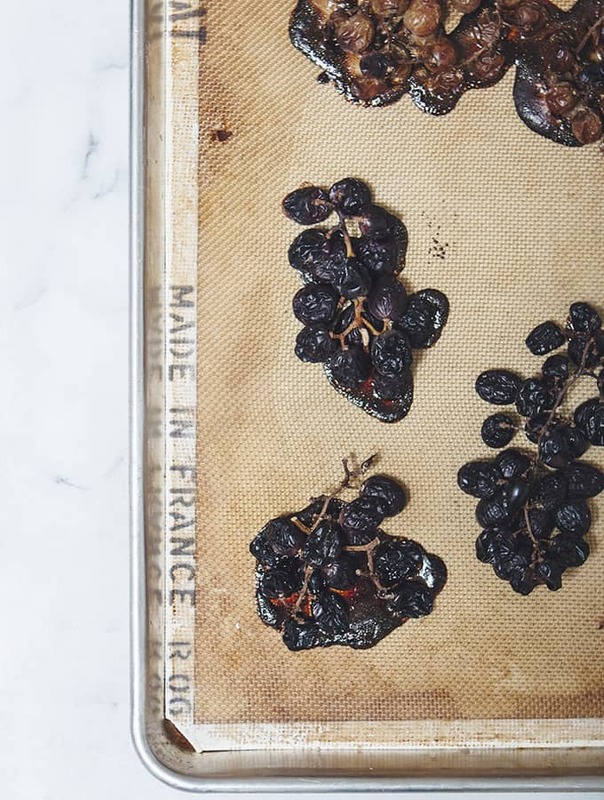 Roasted grapes are a cinch to prepare. 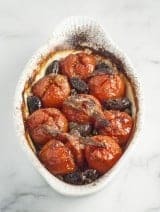 Place bunches of grapes on a baking sheet and roast in a moderate 350 degree oven for about 45 minutes, or until the skins are blistered and the grapes are soft and jammy. 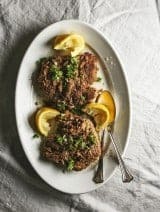 They are great in oatmeal for breakfast or with toasted sugared bread slathered with peanut butter for a sweet crostata. You get the idea, roasted grapes are versatile. Enjoy this simple little jewel recipe from Bijouxs, beautiful food by design.